Atelier Shallie is the sixth and perhaps last game in the Atelier series to release on the PS3. Every entry since Atelier Rorona has made incremental changes to the series formula, but Atelier Shallie offers by far the largest departure from the standard gameplay, dropping the time management mechanic completely. Time management was a hallmark of previous entries, and I was concerned that Atelier Shallie might be too easy without it. While Atelier Shallie offers up an adorable story, enjoyable characters, and interesting crafting mechanics, unfortunately my fears of a lack of difficulty proved well founded. Two young alchemists, both with the nickname Shallie, meet in a small oasis town that is slowly losing its defining feature. Shallistera has been sent from her home town in order to try and solve a major water crisis, while Shallotte is just trying to work her way towards financial security. Following a brief introduction the player can choose which of these two girls to have as their main character. The choice between two characters was given in Atelier Escha and Logy as well, but here it feels more meaningful as the two Shallies don’t spend as much of the game together as Escha and Logy did. Regardless of which Shallie is chosen the story follows the familiar arc of this series, focusing on smaller personal conflicts within the ever-present backdrop of a dying world. Student Roystan Ross has recreated the first level of Super Mario 64 in high definition using the game engine Unity. He has stated he has no intentions in making any money on the project or even recreated more of the game. Nintendo has now requested Ross to takedown the recreation, according to Go Nintendo and a released DMCA copyright infringement complaint to the creator. "Players will journey to three distinct civilisations and time periods throughout history including the Ming dynasty at the start of its downfall, the Sikh Empire as it prepares for war in India and the aftermath of the Red October revolution. Each chronicle stands on its own with a unique setting, art style, story and Assassin, but is tied together narratively." 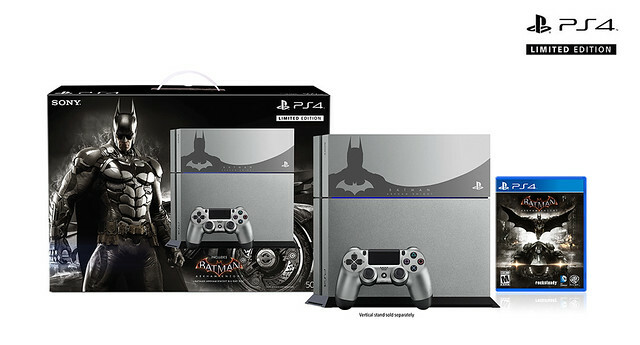 Sony has announced there will be a limited edition Batman: Arkham Knight PlayStation 4 bundle. The bundle will retail for $449.99 and comes with a steel grey PlayStation 4 console that has a custom Batman: Arkham Knight faceplate, a steel grey controller, and a copy of Batman: Arkham Knight. There is also another PlayStation 4 bundle that comes with a standard PlayStation 4 and controller, as well as a copy of Batman: Arkham Knight, for $399.99. "Both the Limited and Standard Edition Batman: Arkham Knight bundles provide the perfect opportunity to upgrade to PS4, but if you’re a fan who’s already enjoying this new generation of gaming, the digital pre-order for Batman: Arkham Knight is going live today on PlayStation Store." "As an added bonus, all owners of Batman: Arkham Knight for PlayStation 4 will get access to bonus content before it’s available anywhere else, including additional in-game missions and custom skins for Batman and the Batmobile. All of this will be available when both the bundles and the game launch on June 23rd." Nintendo has announced their next Nintendo Direct. It will focus on upcoming games for the Wii U and the Nintendo 3DS. There will also be a live Nitnendo Treehouse that will feature a game that will be released this spring. The Nintendo Direct will happen at 6 pm Eastern and 3 pm Pacific. 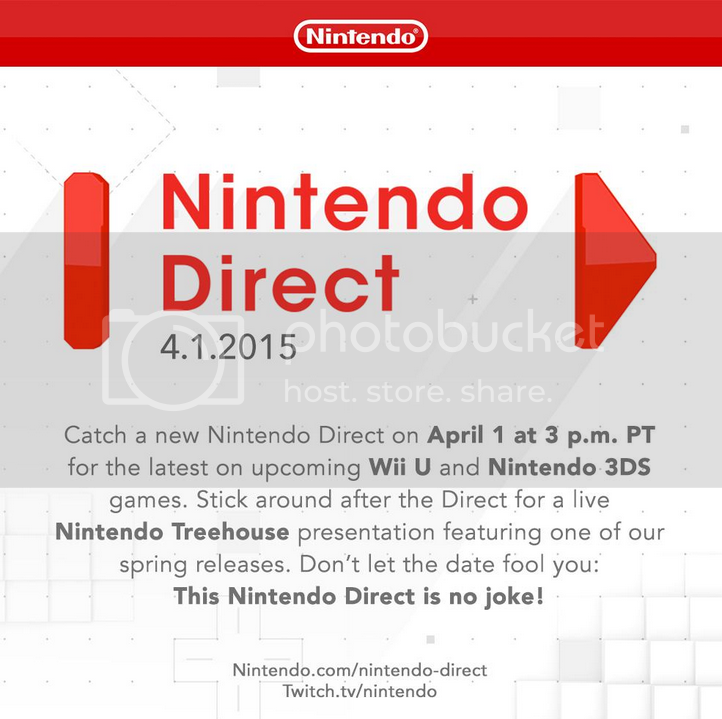 The Nintendo Direct can be seen here. The Japanese Nintendo Direct can also be viewed here, which will take place on April 2. Bandai Namco announced (and translated by Gematsu) they will be opening up its classic IPs to Japanese developers, as part of a new "open project" that will be starting in late April. Bandai Namco will not be supervising people who use the 17 classic IPs, but will instead only review the projects. The developers will be able to create smartphone apps, browser games and games for new network devices. More details will be released at a later date. Goodgame Studios has released its full year report for the year 2014. The publisher and developer nearly doubled its total workforce from 609 in 2013 to 1,168 in 2014. The German based studio reported revenue of 202.1 million euros, that is a 97 percent increase year-over-year. Profits jumped by 160 percent to 34.8 million euros. "Our steady growth of our talent pool is an essential ingredient for our success, and we intend to continue following this path," said Goodgame Studios COO Christian Wawrzinek. "We are convinced that adding the right talent to our organization is fundamental to achieving higher growth and revenue. This enables us to create an environment which fosters the long-term success of our company." In 2015, they plan to hire 400 new employees, to bring their total workforce to 1,600. In order to continue their strong growth, they plan to focus on the mobile market, as well as setting up new studios inhouse. All of these games will be available for free to PlayStation Plus subscribers starting next Tuesday. The record probably won't last very long - they usually don't, although Oginam does utilise a number of game glitches that may end up being patched out. Nonetheless, it's an impressive achievement given not only the game's notorious difficulty but also the fact that it was released only a week ago. Ubisoft has released a new trailer for the upcoming Tom Clancy’s Rainbow Six Siege, which you can view below. This trailer focusses on so-called 'Operators'. Within the game, Operators are special ops masters, and each has their own unique expertise, which adds to the game's tactical options. Crafting a team with different Operators that compliment each other will be a key part of winning matches in higher levels of play. Ubisoft also announced that the pre-order bonus for all versions of the game is access to the Closed Beta, which takes place later this year. Meanwhile, the Collector’s Edition has also been detailed. Called the “Art of Siege Edition”, it includes the game, a collector’s box, a Gold Skins Pack for all in-game weapons, and a 120-page Tactical Guide.